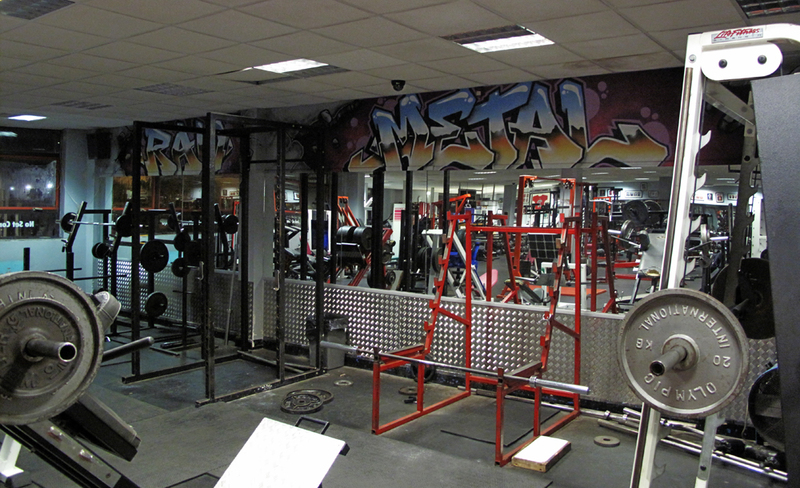 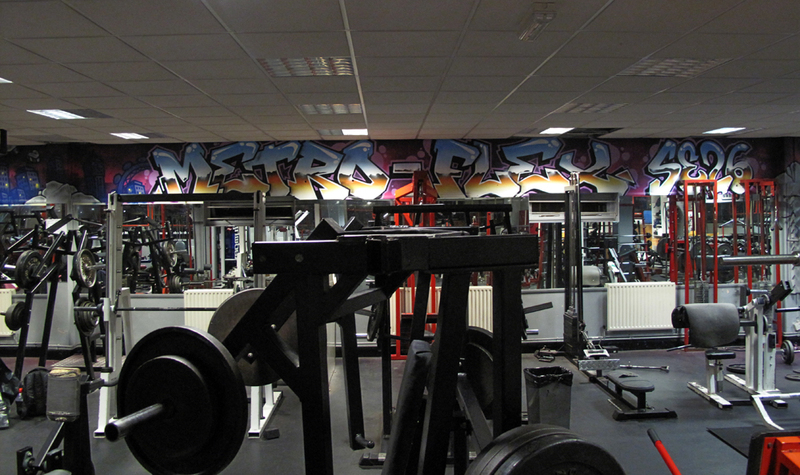 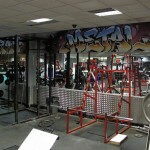 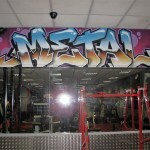 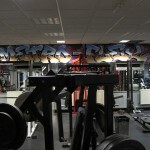 the guys at Metro-flex gym Sydenham got in contact in need of some graffiti to go around the main gym room between the mirrors and ceiling featuring the words Raw Metal and Metro-Flex se26 with a city skyline. 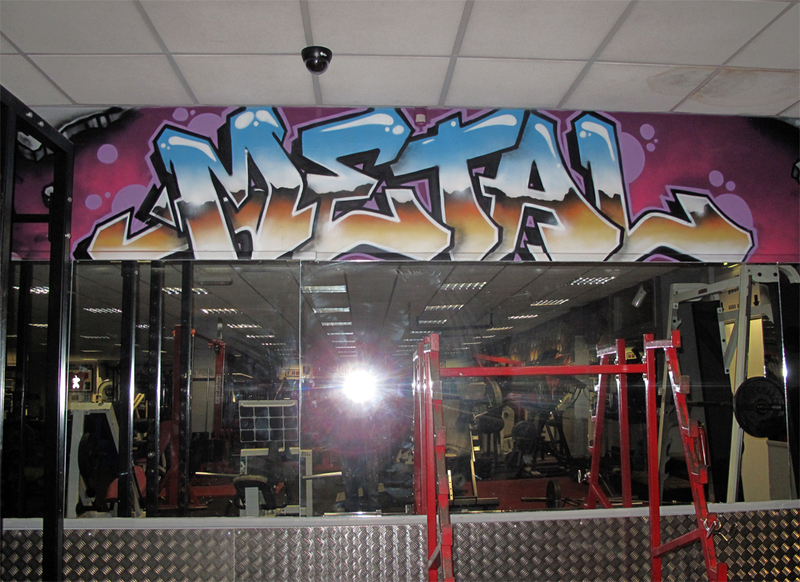 it was a challenge climbing around the gym equipment to paint the walls but the results and reaction from the gym members mad it all worth while. 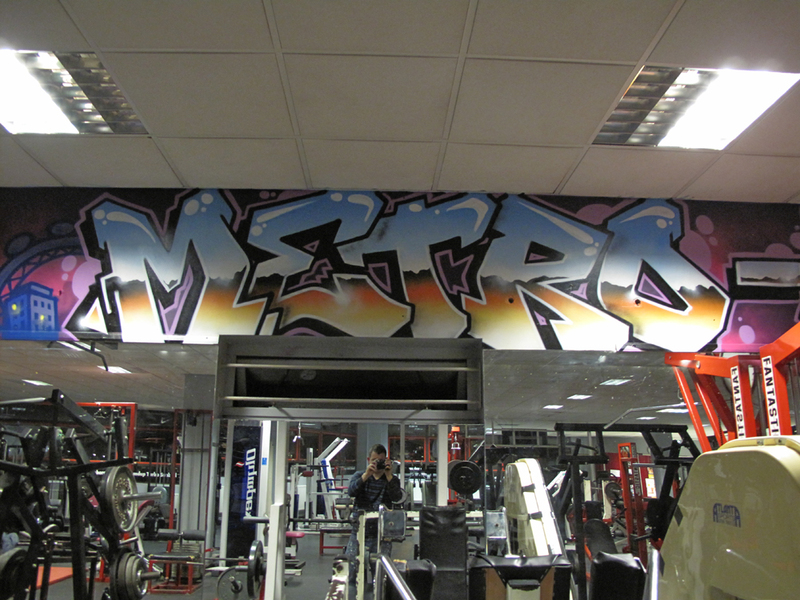 Members quote: Bloods saw da finished work today and it’s da nuts bloods gives da place dat boooooooooooooom feeling well done!